Mol Nutr Food Res. 2012, 56(6):878-88. doi: 10.1002/mnfr.201100798. A natural carotenoid abundant in seafood, astaxanthin (AX), has hypolipidemic activity, but its underlying mechanisms of action and protein targets are unknown. We investigated the molecular mechanism of action of AX in hepatic hyperlipidemia by measuring peroxisome proliferator-activated receptors (PPAR) activity. We examined the binding of AX to PPAR subtypes and its effects on hepatic lipid metabolism. AX binding activated PPAR-£, but inhibited PPAR-£^ transactivation activity in reporter gene assay and time-resolved fluorescence energy transfer analyses. AX had no effect on PPAR£_/£] transactivation. AX bound directly to PPAR-£ and PPAR-£^ with moderate affinity, as assessed by surface plasmon resonance experiments. The differential effects of AX on PPARs were confirmed by measuring the expression of unique responsive genes for each PPAR subtype. AX significantly reduced cellular lipid accumulation in lipid-loaded hepatocytes. Transcriptome analysis revealed that the net effects of stimulation with AX (100 £gM) on lipid metabolic pathways were similar to those elicited by fenofibrate and lovastatin (10 £gM each), with AX rewiring the expression of genes involved in lipid metabolic pathways. AX is a PPAR-£ agonist and PPAR-£^ antagonist, reduces hepatic lipid accumulation by rewiring the transcriptome in lipid-loaded hepatocytes. PLoS ONE. 2012, 7(4):e34969. doi: 10.1371/journal.pone.0034969. Chitosan has been widely used in food industry as a weight-loss aid and a cholesterol-lowering agent. Previous studies have shown that chitosan affects metabolic responses and contributes to anti-diabetic, hypocholesteremic, and blood glucose-lowering effects; however, the in vivo targeting sites and mechanisms of chitosan remain to be clarified. In this study, we constructed transgenic mice, which carried the luciferase genes driven by peroxisome proliferator-activated receptor (PPAR), a key regulator of fatty acid and glucose metabolism. Bioluminescent imaging of PPAR transgenic mice was applied to report the organs that chitosan acted on, and gene expression profiles of chitosan-targeted organs were further analyzed to elucidate the mechanisms of chitosan. Bioluminescent imaging showed that constitutive PPAR activities were detected in brain and gastrointestinal tract. Administration of chitosan significantly activated the PPAR activities in brain and stomach. Microarray analysis of brain and stomach showed that several pathways involved in lipid and glucose metabolism were regulated by chitosan. Moreover, the expression levels of metabolism-associated genes like apolipoprotein B (apoB) and ghrelin genes were down-regulated by chitosan. In conclusion, these findings suggested the feasibility of PPAR bioluminescent imaging-guided transcriptomic analysis on the evaluation of chitosan-affected metabolic responses in vivo. Moreover, we newly identified that downregulated expression of apoB and ghrelin genes were novel mechanisms for chitosan-affected metabolic responses in vivo. European Journal of Pharmaceutical Sciences. 2012, 45(3):367-378. The potential of arsenic trioxide (As(2)O(3)) for use as a novel therapy for ovarian cancer treatment has been increasingly recognized. In this study, we developed an arsenic-resistant OVCAR-3 subline (OVCAR-3/AsR) and aimed to identify the molecular mechanisms and signaling pathways contributing to the development of acquired arsenic chemoresistance in ovarian cancer. OVCAR-3/AsR cells were obtained following continual exposure of parental OVCAR-3 cells to low dose As(2)O(3) for 12months. Cytotoxicity of OVCAR-3/AsR cells to As(2)O(3), paclitaxel and cisplatin was investigated. Cell apoptosis and cell cycle distribution following As(2)O(3) treatment of OVCAR-3/AsR cells was also analyzed using flow cytometry. Subsequently, cDNA microarray analysis was performed from the RNA samples of OVCAR-3 and OVCAR-3/AsR cells in duplicate experiments. 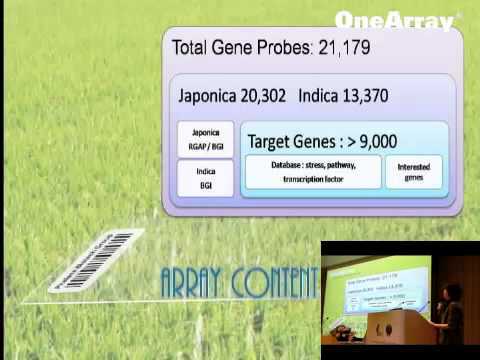 Microarray data were analyzed using GenespringR and Pathway StudioR Softwares. OVCAR-3/AsR cells showed 9-fold greater resistance to As(2)O(3) and lack of collateral resistance to cisplatin and paclitaxel. Compared with parental OVCAR-3 cells, OVCAR-3/AsR had significantly lower apoptotic rates following As(2)O(3) treatment. These cells were also arrested at both the S phase and G(2)/M phase of the cell cycle after exposure to high concentrations of As(2)O(3). Gene expression profiling revealed significant differences in expression levels of 397 genes between OVCAR-3/AsR and OVCAR-3 cells. The differentially regulated transcripts genes have functional ontologies related to continued cancer cell growth, cell survival, tumor metastasis and tumor aggressiveness. Additionally, numerous gene targets of the nuclear factor erythroid 2-related factor 2 (NRF2) transcription factor showed elevated expression in OVCAR-3/AsR cells. Subsequent pathway analysis further revealed a gene network involving interleukin 1-alpha (IL1A) in mediating the arsenic-resistant phenotype. These results showed that changes in multiple genes and an increased in tumor aggressiveness occurred during the development of acquired chemoresistance to As(2)O(3) in ovarian cancer cells. The functional relevance of these genetic changes should be validated in future studies.